HONOLULU (HawaiiNewsNow) - In a grim reminder of the dangers of Hawaii roadways to those who aren’t shielded by steel and glass, crashes last year killed more pedestrians in the islands than occupants in vehicles. That hasn’t happened for at least 15 years. Data going back further wasn’t immediately available. 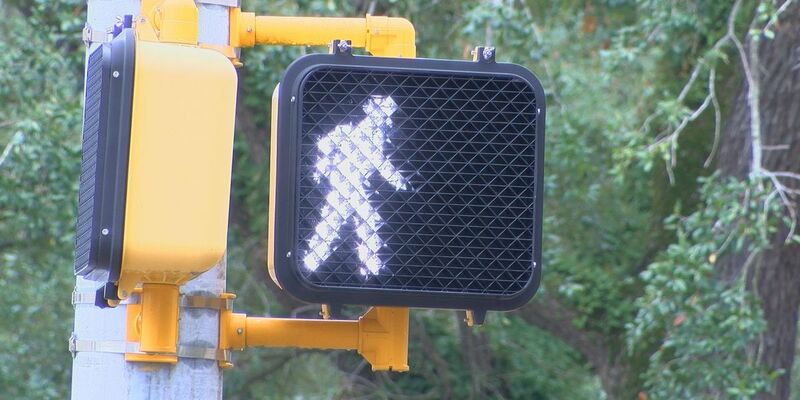 In all last year, 43 pedestrians were killed in crashes statewide, according to preliminary figures from the state Transportation Department. Of those fatalities, 27 were on Oahu. By comparison, 38 people who were occupants of vehicles died statewide in 2018. That’s a stunning turnabout from 2017, when 15 pedestrians were killed and 60 occupants of vehicles died in crashes. 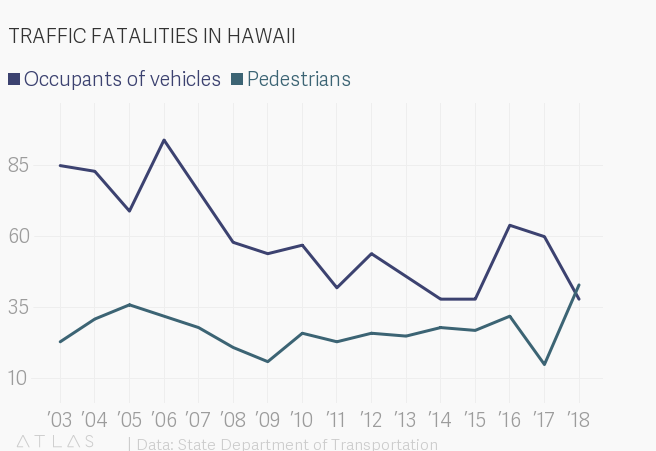 The significant increase in pedestrian fatalities wasn’t lost on traffic safety officials and police, who dialed up enforcement and awareness campaigns across the islands as deaths continue to rise. In all in 2018, some 117 people were killed on Hawaii roadways. In addition to the motor vehicle occupants and pedestrians, 34 people who died were on moped, scooters or motorcycles. There were also two bicyclists killed. As it always does, Oahu saw the highest number of traffic fatalities by far in 2018, with 62. Meanwhile, 32 people — including six pedestrians — were killed on the Big Island. Maui County saw 17 traffic fatalities, while Kauai County had six. The significant increase in pedestrian fatalities was driven by crashes on Oahu roads. But pedestrian deaths were also up last year in all other counties. And sadly, the count for 2019 has already started. Hawaii saw its first traffic fatality of the year on New Year’s Day, after a young man was killed in a crash on Maui. PEDESTRIAN FATALITIES SPIKE 2018 was a dangerous year to be a pedestrian in Hawaii.